This 6" x 12" ChipBoard has twenty-two (22) ChipBoard Elements. Look for coordinating Photopolymer Stamp Set, Designer Etched Dies, Layered Stickers, and Designer Papers. 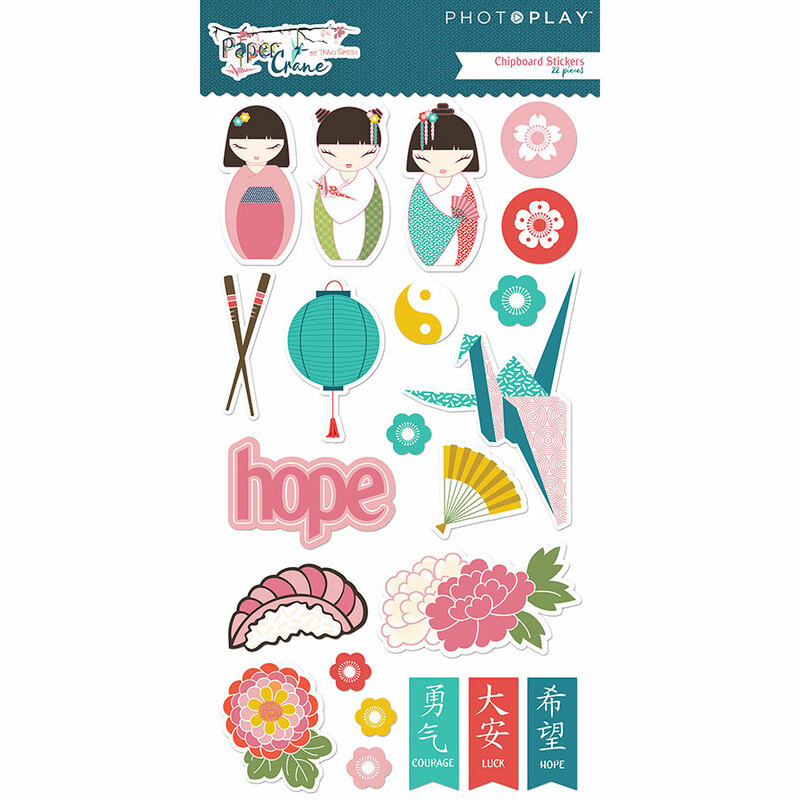 Part of the Paper Crane Collection by PhotoPlay Paper. Note: Look for my 'Value Pack' Available.